I was fortunate to hear Joanna’s presentation to the Canberra Jung Society on the very intriguing subject of Carl Jung and the Gnostic Gospels. 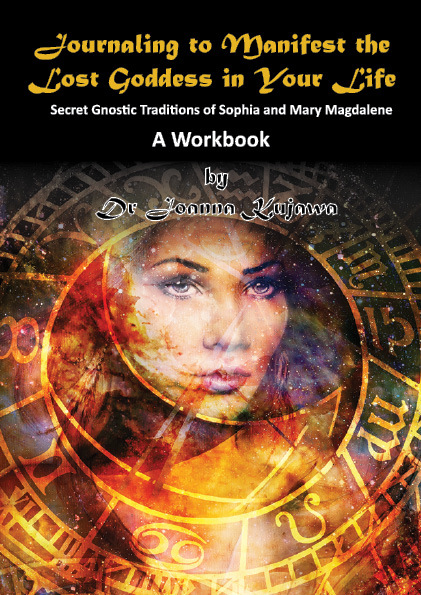 Joanna is a thoughtful investigator of Gnostic writings with their focus on concerns about knowledge of the inner self, the importance of the feminine principle in creation, and the knowledge of the soul as juxtaposed to a belief. Joanna’s presentation helped locate some of Jung’s key concepts (such as the psyche, archetypes, and the feminine) within the wider context of his Gnostic influences and open up new possibilities for approaching Jung’s work. Joanna is an explorer of spirituality and of how we might better live today. Joanna was a keynote presenter at a Symposium of Spiritual Tourism at Monash University in 2015. Her presentation was a highlight of the evening as Joanna delighted the room with her stories and her insights into the topic. She was able to blend in the academically relevant material in with wit and good humour, in a highly engaging and uplifting manner. I would highly recommend Joanna for any public speaking or academic event in her field of endevour. Thanks Joanna for a wonderful lecture on Jung’s Seven Sermons to the Dead some time ago in Sydney. It covered so many new concepts and facts, that gave me ideas to study for the next 2 months. Fascinating, clear, condensed knowledge. Joanna is a scholar who efficiently employs her rational mind as well as profound intuition and deep understanding of spirituality. Since the Sydney lecture I am addicted to her blog on Goddesses and spirituality. When I was about twenty years old, a friend of mine lent me a small book about Gnostics and their interpretation of the world. It was breathtaking. A new door opened for me. How to read the Bible stories in different ways, is much more satisfactory from a point of view of storytelling as well as spiritually! In her presentation, on the relation between Carl Jung and a number of Gnostic Gospels, Joanna brought back to me this special, unique, spiritual space I had entered in my youth, in my effort to survive a cruel and meaningless society. I had focused so much on Jesus as the main hero, that I forgot the so-important role of the feminine, as if I was not a woman myself! Joanna elaborated on the topic in such a way to cover exactly what I had missed back then. I must say that, not only it was quite unexpected to attend such a profound analysis here in Canberra, but also after hearing about the Gospel of Mary Magdalene, my views on the sacred feminine were significantly enlarged if not changed. I have been to two of Joanna Kujawa’s talks and read her book Jerusalem Diary. Her enthusiasm for, and knowledge of the subject is infectious, leading the audience at a fast pace. Never boring, she always manages to raise enough interest for a spirited Q & A session at the end of her lecture. Joanna has an incredible depth of knowledge, on a subject, that is both fascinating and has remained hidden for many years. Anyone attending a talk or workshop, cannot fail to leave, without many interesting facts and the desire to learn even more about the subject. I was privileged to have attended a talk by Dr Joanna Kujawa in Brisbane. She was very enthusiastic and knowledgeable about her topic, which included Mary Magdalene, the Gnostics and Jung. I found her presentation to be very engaging, as she was energetic, witty and interesting. She thoroughly enjoyed sharing her knowledge with the audience, who were totally engrossed. My learning about the subject matter soared as a result of her talk. I would definitely attend another talk by Dr Kujawa, given the opportunity. It was a pleasure to attend Joanna’s talk in Brisbane at the Carl Jung Society and listening to her speak on her book, Jerusalem Diary: Searching for the Tomb and House of Jesus, the Gnostic Mary Magdalene and Carl Jung’s fascination with the Gnostics. Joanna’s passion and knowledge, make it easy to be drawn in to the subject, I loved her energy and presentation, and she easily handled some tricky questions after her talk. I had previously read this book, and enjoyed it, but reread it soon after with a fresh approach (Author signature a bonus ). I enjoyed Joanna’s talk at the Symposium on spiritual tourism at Monash University. She seamlessly coalesced academic research with her own personal experience as a spiritual seeker – a rare perspective which added depth and honesty to the discussion on both the reasons for spiritual quest and the aftermath of the quest. She is also an animated and entertaining speaker who effortlessly connects with her audience.